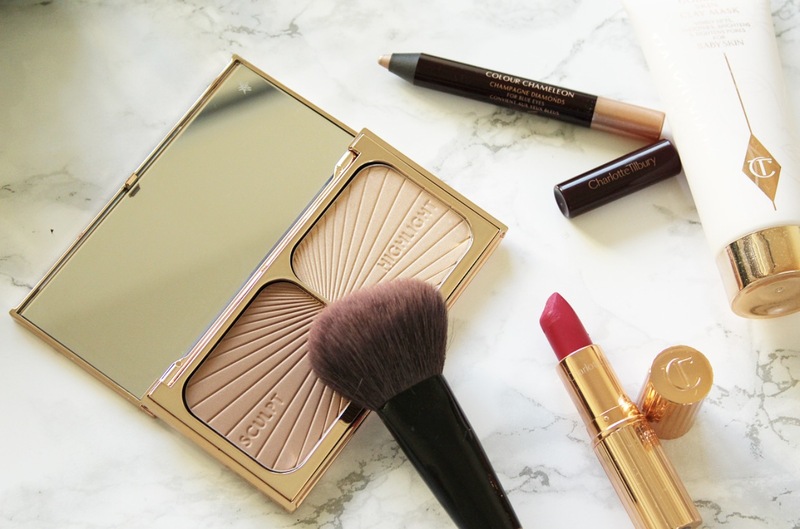 If you’ve been following me for a while now, you know that I’ve always been a HUGE Charlotte Tilbury fan. I actually stocked up on a TON of her products about three years ago when I traveled to London because her line was not available in the states yet at that time. Ever since then, I’ve been obsessed to say the least. 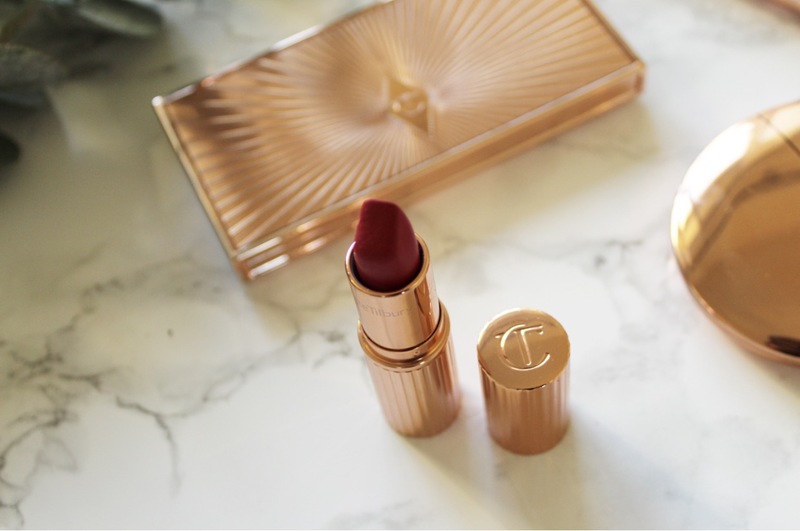 I love the formula of her lipsticks, the bronze gorgeous packaging and just her whole take on color, contouring and the flawless finish her products leave your face looking. 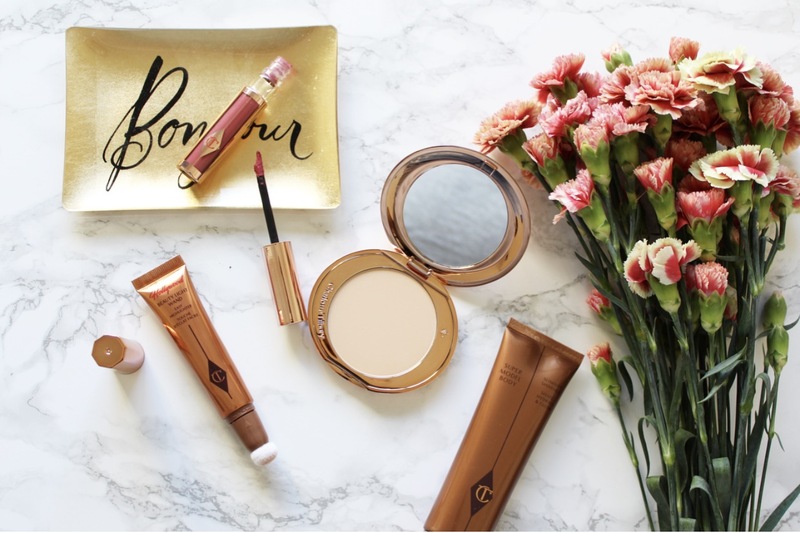 It’s been a little over a month since I traveled to New York and received some amazing products from the team at Charlotte Tilbury for the trip. I’ve spent the last 30 days or so trying out all the products they sent me, all while falling in love with some certain new favorites. I’ve gotten a lot of questions from you guys about some of the different makeup and skincare products I received so I thought I would dedicate an entire blog post to review every product in detail. So enough babbling, let’s get to it. Air Brush Flawless Finish Skin Perfecting Micro Powder – Ok, I’m LOVING this! I was sent the shade ‘Medium’ and absolutely love the way this powder sets on my skin. I would say it creates a light coverage (I use it on top of my Estée Lauder Double Wear Foundation) as I feel like it really sets my makeup into my skin creating a flawless finish appearance. I’ve been carrying this in my purse for touch ups throughout the day and it’s been a lifesaver! ‘Filmstar Bronze & Glow’ Face Sculpt & Highlight – I love this palette. And I mean LOVE. 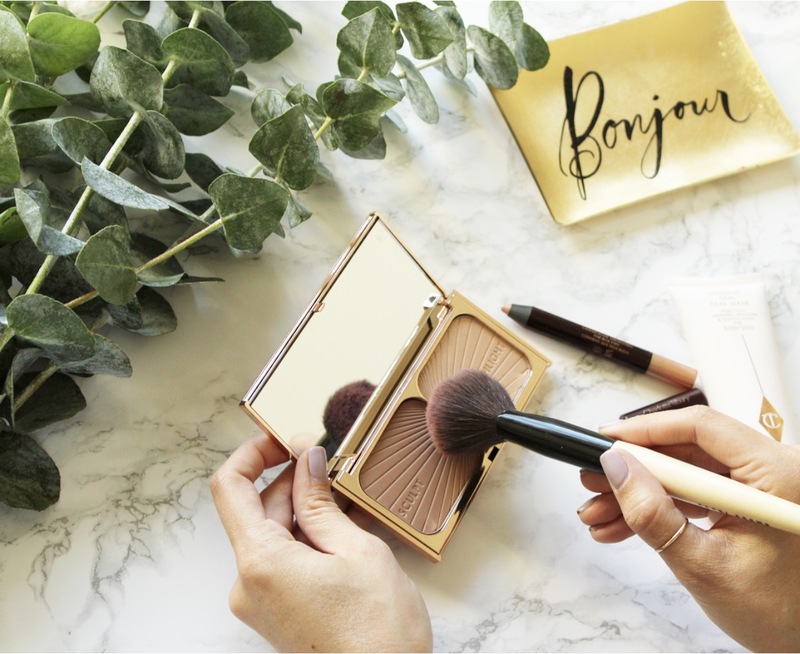 It has a gorgeous bronzer on one side and a pretty light highlighter on the other – basically, it’s a bronzer palette that everyone needs in their makeup drawer. 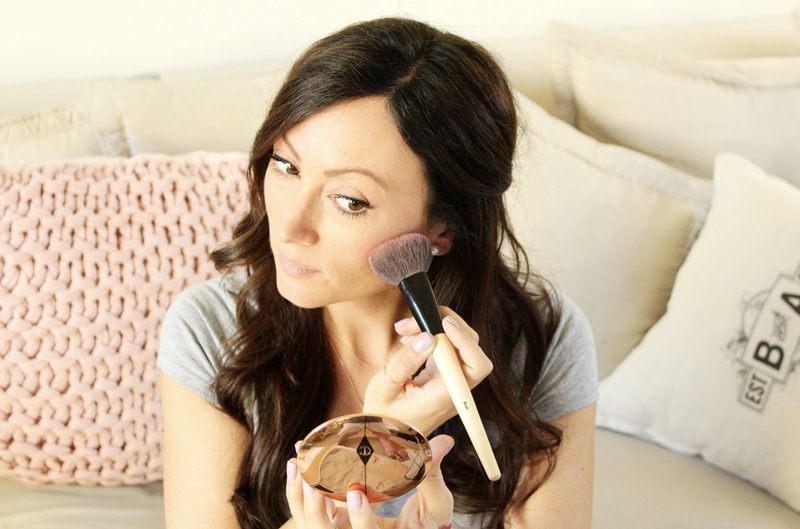 I sweep the bronzer under my cheekbones, sides of my nose, forehead and chin to add a sun kissed glow and then I take the highlighter and add a little bit on my cheekbones and down the slope of my nose for a light shimmer & glow. If you are a makeup newbie and contouring scares you, but you want to try it, this palette is for you! Two simple shades that really help brighten up your face. Hollywood Beauty Light Wand – I liked this product, but it wasn’t a MUST have for me. I’m going to keep using it though as I feel like I haven’t quite mastered the super glowy technique of the professional highlighted cheekbone quite yet. It’s basically a liquid highlighter that you dab on your cheeks and rub in either with your fingers or a brush. It’s very shimmery which is why I think I tended to just stick to the sculpt and glow highlight palette that I talked about above. Eyes To Mesmerise Cream Eye Shadow – I’ve been wanting to try these eye shadow creams for a while now and of course now that I have, I love them. They don’t smear or get caught up in the crease of your eye and they stay put all day. I also love that you can just apply with your finger and blend it easily without using a brush. I tested out the color “Jean” and really liked the light shimmer it left on my eyelid and under my eyebrow. I’ll be trying the shade “Bette” next. ‘Supermodel Body’ Slimmer Shimmer Shape, Hydrate & Glow – Honest review, not a fan. I really didn’t notice a change in skin color aka a “tan look” after applying. It did leave a slight shimmer which was pretty, but for the price, I think there are better products out there. Color Morphing Eyeshadow Pencil – I received the shade “Champagne Diamonds” and love it! It’s a nice champagne color with a shimmer so I’ve been using it when I want to spice up my eye makeup a little bit. I also love that you can just apply it straight to the eye without having to use a brush – super convenient and great for on the go. It didn’t smudge or run throughout the day which was also a plus for me. 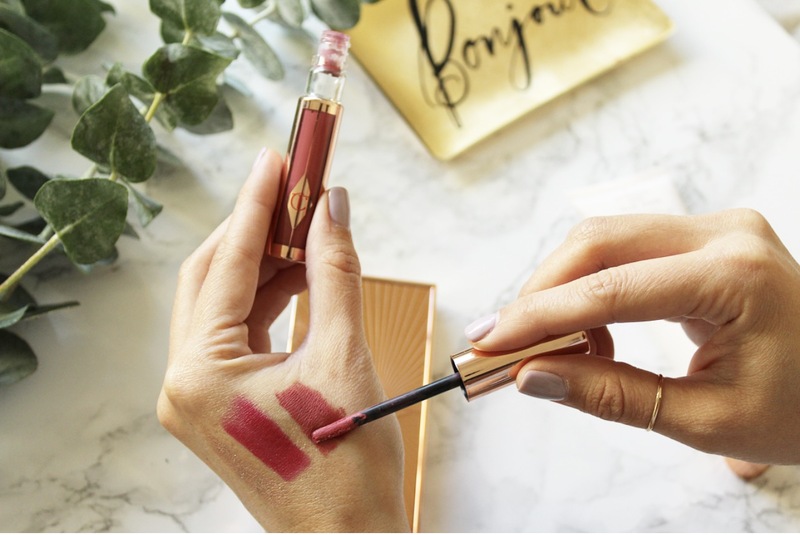 Hollywood Lips Liquid Lipstick – I reviewed these liquid lipsticks a little bit in my most recent lipstick blog post here but I really can’t say enough good things about them. They sent me the shade “Too Bad, I’m Bad” and I wore it all over fashion week for HOURS without having to re-apply it. 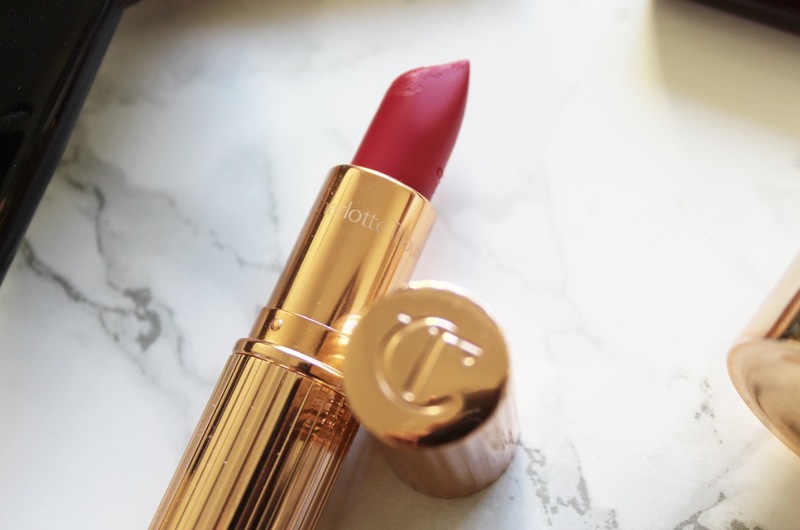 These are fantastic lip products! ‘Goddess’ Skin Clay Mask – Now this is amaze! I’ve been using this once a week and I’m loving the results. It says on the front of the tube ” for baby skin” and that is exactly how it leaves your skin feeling. So soft and smooth, just like a baby! It has a slight floral rose scent to it, as most of her skincare products do, but it’s not too overwhelming. I have a feeling I’ll be using this more and more to pamper myself once the baby is born! Matte Revolution ‘The Queen’ Lipstick – Ok, you know I love these lipsticks, but this color ROCKS. It’s only available on the CT website (not on Nordstrom) so I think it might be limited edition. It’s the perfect shade of deep pink/berry and I just keep finding myself wanting to wear it over and over again. 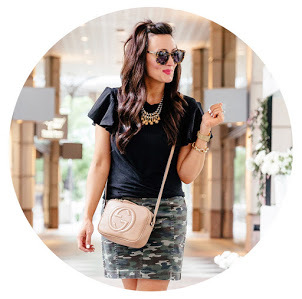 It’s a great shade for fall and stays on without smearing or smudging for hours. There you have it. 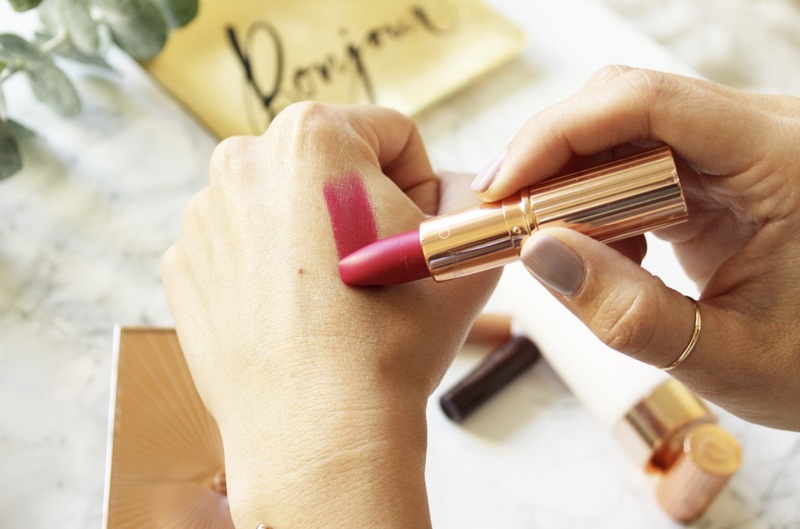 Nine different products from the gorgeous Charlotte Tilbury collection. Like I said previously, I HIGHLY recommend her products. Not only are they beautiful in the package, but they are gorgeous on the skin. Have more questions?! Feel free to shoot me a message!